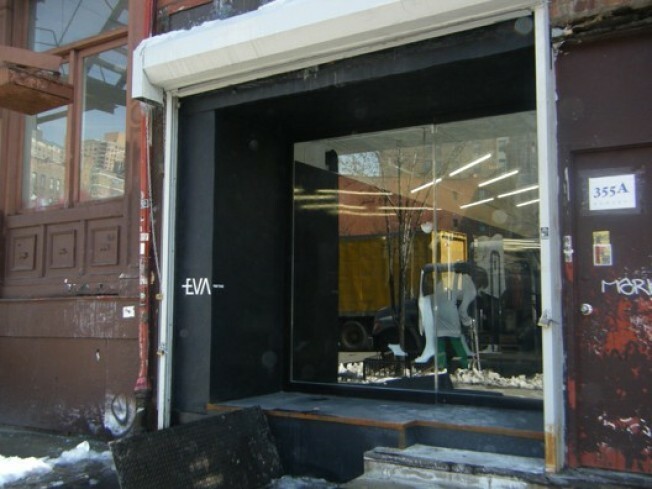 Eva Boutique, which just opened on Bowery between 3rd and 4th, feels like the anti-Varvatos. Instead of meticulously recreating the grit of the old Bowery, the architects behind Eva scrubbed it clean, lacquered the floors shiny black and the walls gleaming white, and then gave the whole thing a good Windexing. The boutique's surfaces are so smooth, and the design so minimalist, and the mirrors so bright, that we worried we'd get disoriented and walk into a wall. Despite undergoing a makeover since its move from Mulberry Street, Eva carries the same sort of merchandise. Everything inside is for sale, from the clothes (by designers like Vivienne Westwood, Staerk, and Henrik Vibskov) to the Devotte shoes to the art on the walls. The store also has its own standout line of whip-like horsehair necklaces, Saltalamacchia, co-designed by Pappas. It all feels new to the Bowery—not the Hamptons casual of Blue & Cream or the one-designer vision of Loris Diran or Rogan, but a good, old-fashioned upscale boutique, albeit one with skull jewelry and deconstructed jackets.